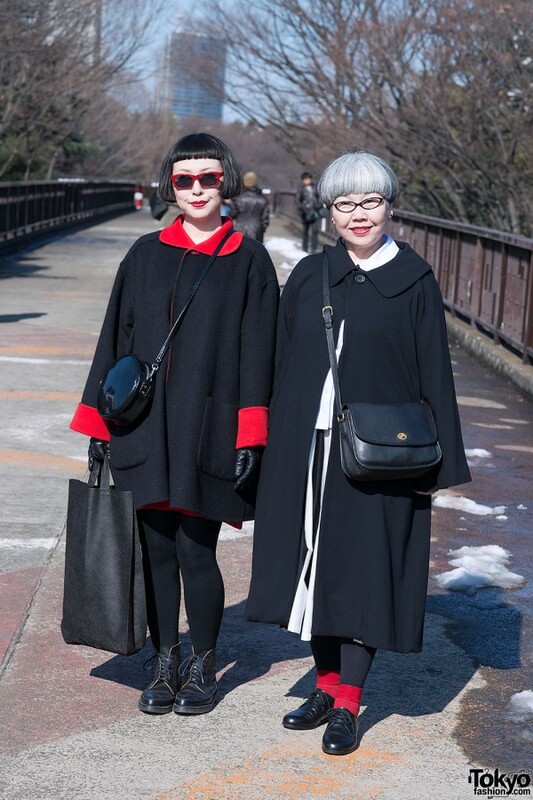 Here are two stylish Japanese women who we spotted crossing the bridge from Koen Dori to Yoyogi Park in Harajuku. Their minimalist black & white looks – with splashes of red – stood out from the resale-loving crowd who was in the area for the weekend’s Yoyogi Flea Market. The woman on the left – with the sleek black bob hairstyle – is wearing a black coat with red accents (glasses, collar and cuffs), black tights, and leather boots. Her friend with the short silver bob is also wearing a black coat, black tights, and black leather shoes. Her accents are a white top and red socks. Awesome colour coordination and they both look boss. Stylish women. Love their looks. BTW, are they mom and daughter? They remind me of a little of Yayoi Kusama. LOVE IT! love it, love it, love it! They are a really stylish duo! Great looks. 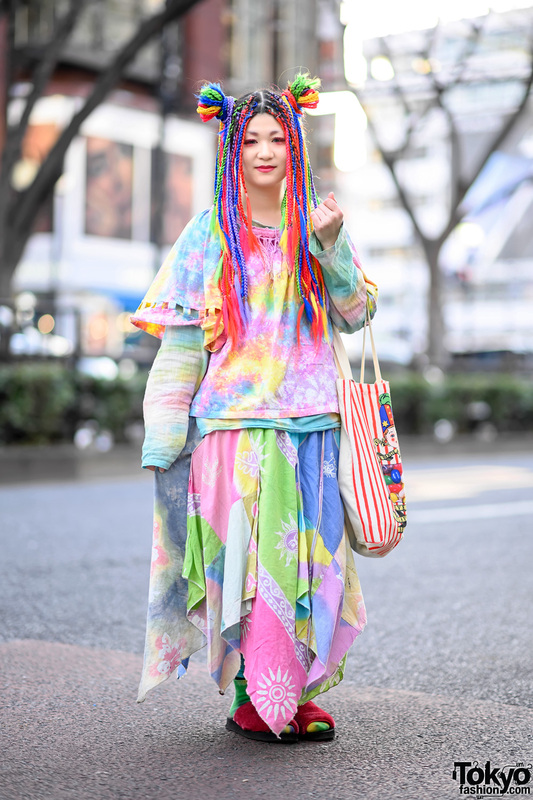 So stylish! And so refreshing to see older people in your shots. Please keep it up!